...a Severe Thunderstorm Warning Remains In Effect Until 645 Am Cdt For Northeastern Hardin County... At 603 Am Cdt, A Severe Thunderstorm Was Located Over Kountze, Moving Northeast At 60 Mph. Hazard...60 Mph Wind Gusts And Quarter Size Hail. Source...radar Indicated. ...Read More. 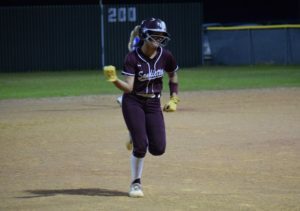 EAST TEXAS – With the conclusion 2017-2018 UIL softball season, area All-District teams have been released. 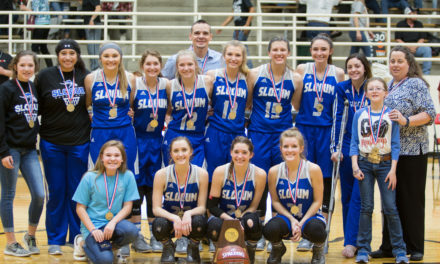 With the Slocum Lady Mustangs winning their second consecutive state title at the 1A level and the Grapeland Sandiettes advancing all the way to the regional finals, it has taken a while before the coaches were able to release the District 21-AA All District list. Kiera DeCluette was named Offensive Player of the Year in District 21-AA. 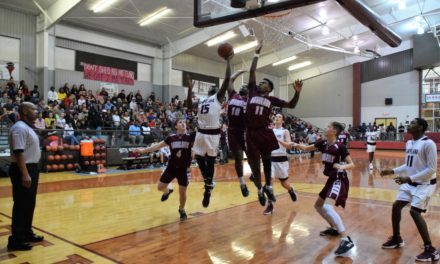 In the 2017-2018 season, District 21-AA was comprised of: the Centerville Lady Tigers; the Grapeland Sandiettes; the Latexo Lady Tigers; the Lovelady Lady Lions; the Neches Lady Tigers; the Kennard Lady Tigers; and the Slocum Lady Mustangs. At the Superlative level, Cadie Belle Currie from Grapeland was named as the district’s Most Valuable Player. Currie pitched all 40 of the Sandiettes’ games. She had 29 wins, 9 losses, 2 ties and pitched all 216 innings we played. She struck out 224 batters with an ERA of .972 and gave up only 30 earned runs in those 216 innings pitched. In addition, Currie had 14 shutout victories, 4 no-hitters and 1 perfect game. The Offensive MVP was Kiera DeCluette from Grapeland. DeCluette was the offensive catalyst of the Sandiettes team. She led the team in hits (56), runs scored (57), batting average (.471), OBP (.553) and stolen bases (41). She was also tied for first in HR (4) and was second in RBIs with 40. During the Sandiettes’ playoff run, she batted .667 and had an OBP of .706. She also scored 19 runs and had 15 RBI during the same stretch. At third base, DeCluette had six unassisted double plays along with 65 assists and 32 put outs at third base. 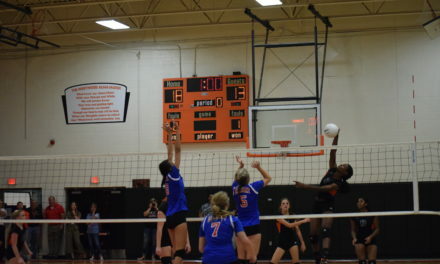 Cierra Simon was named Defensive Player of the Year in District 21-AA. The Defensive MVP was Cierra Simon from Grapeland. Simon was a major playmaker for the Sandiettes in their playoff run. She led the team in doubles (15) and OBP (.707) and second on the team in hits (52), runs scored (52) and batting average (.423). Simon was also tied for first in homeruns (4) and had 33 RBIs. The Newcomer of the Year was Cheney Boyd from Grapeland. 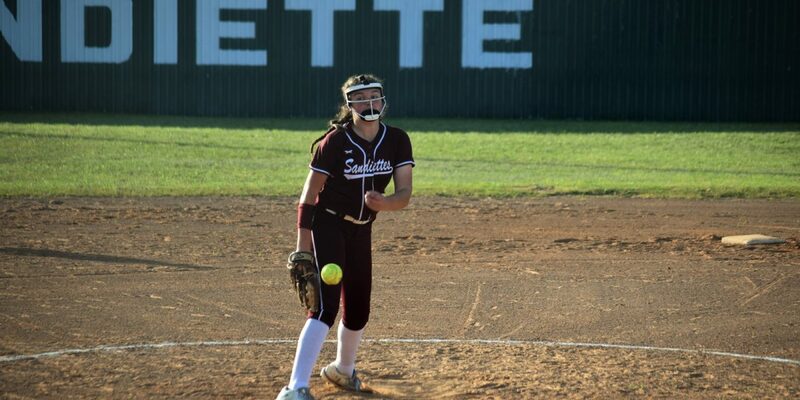 The Co-Pitchers of the Year were Jalyn Fletcher from Slocum and Josey Sumpter from Neches. The Utility Player of the Year was Taylor Clark from Slocum. 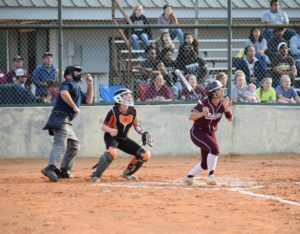 Catchers – Madi McCombs from Grapeland and Briley Evers from Slocum. Pitchers – Kayla Wilson from Centerville and Gracie Zalesky from Latexo. Infielders and Outfielders: Centerville – Sara Stutzman, Harley Matthews, and C. Hubbell; Grapeland – Hannah Chipman , Haylee Reed, KeKe Harris and Diamond Dunn. 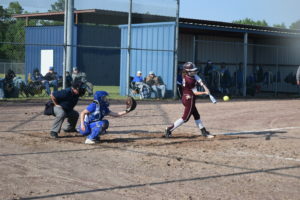 Latexo – Makayla Gunnels and Raelyn Walker; Lovelady – Amber Mikes and Sarah Thompson; Neches – Jayci Mannix, Sheridan Andrews and Makenzie Hudson. Slocum – Shelby Bowman, Laney Lasiter, Jessi Ives and Courtney January. Catcher – Emily Wager from Centerville and Hannah Lovelady from Neches. 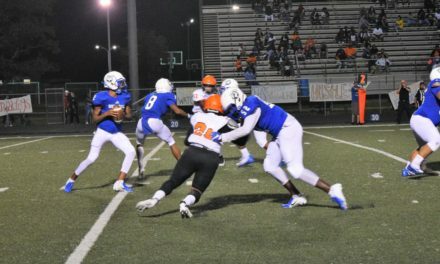 Cheney Boyd was named as the Newcomer of the Year in District 21-AA. Pitcher – Ashley Roy from Kennard. Infielders and Outfielders: Centerville – Rileigh Matthews, Christina Ortega and Kameron Hardee; Grapeland – Teira Jones; Kennard – Tori Cole and Darian Ping; Latexo – Diana Maza and Bailey Ingle; Lovelady – Kaiden LeMaire and Jacy Stubblefield; Neches – Madi Whitfield, Gracey Carroll and Lexi Rogers; Slocum – Kara Cumby and Jamie Jackson. Honorable Mention: Kennard – Azja Scott, Maddie Morrow, Kailen Martin and Casey Tims; Latexo – Shelby Abshire and Harli Brent; Lovelady – Heather Elliott and Makayla White; Neches – Ashley Barnes, Reason Gray, Carli Cleveland, Emily Carson, Maggie Harris and Jessica Bennett; Slocum – Bella McNeill and Mallory Dunnahoe. Academic All-District First Team : Grapeland – Cadie Belle Currie, Madi McCombs, Cayden LeBlanc, Christy Shepherd, Cierra Simon, Keaundra Harris and Haylee Reed. Latexo – Shelby Abshire, Madison Catoe, Makayla Gunnels, Bailey Ingle, Diana Maza, Raelyn Walker and Gracie Zalesky; Lovelady – Heather Elliott, Sarah Thompson, Skye Watts, Makayla White, Kaiden LeMaire, Amber Mikes and Erin Sample. Academic All-District Second Team: Grapeland – Cheney Boyd, Kiera DeCluette, Macy Cutler and Teira Jones; Lovelady – Skylar Hardcastle, Hannah York, Danielle Coats, Jacy Stubblefield and Megan Williams.